FunGeST “Functional genomics of solid tumors”, directed by Jessica Zucman-Rossi, was created in 2005, as Inserm U674, it was renewed in 2009 and 2014 as UMR1162, ranked “incontournable” by Inserm as a mixed structure endorsed by four entities: Inserm, Universities Paris Diderot, Paris Descartes and Paris Nord. It is currently located at the University Hematology Institute site in a building managed by the CEPH (Centre d’Etude du Polymorphisme Humain, Foundation Jean Dausset). Since January 2019, the lab take part of Centre de Recherche des Cordeliers Research Center – Inserm UMR S1138 as team 28. Jessica Zucman-Rossi, is professor of Medicine in Oncology (PUPHex) at university Paris Descartes and HEGP, full time for research. She directed the Inserm U674, U1162 and UMRS1138 – team 28 since 2007, was chairman of the Inserm scientific committee devoted to Oncology, Genetics and Bioinformatics from 2012 to 2016. She is editor at Journal of Hepatology (IF=12.4), executive secretary of the International Liver Cancer Association (ILCA). 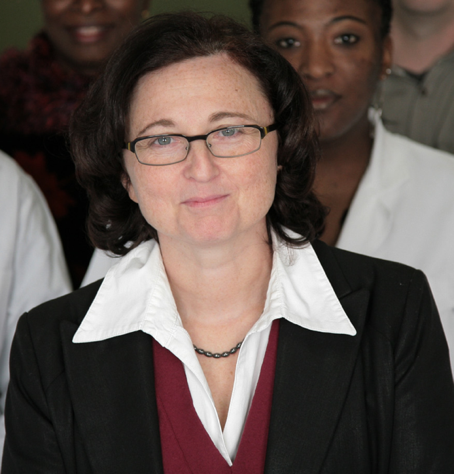 She published 157 original papers and has an international recognition in the field of genomics of human cancers and more specifically in liver tumors. Since January 2019 Pr Zucman-Rossi-Rossi is the director of the Cordeliers Research Center. Our mission is to develop basic genomic approaches based on human tumors analyses to identify new mechanisms of tumorigenesis and to transfer this knowledge into biomarkers and therapeutic targets that could be introduced in clinical care. In particular, we aim to identify new genomic alterations and mechanisms of carcinogenesis. We also aim to identify new risk factors and genetic predispositions promoting the development of tumors. Our general strategy is based on the omic’s analyses of large cohorts of patients with liver tumors (benign and malignant), mesothelioma and clear cell renal carcinoma. The group was pioneer in the elucidation of the molecular classification of benign and malignant liver tumors. Then we perform (1) functional validation using cell and animal models and (2) we translate our findings into the clinics to improve surveillance, diagnosis, prognosis, treatment and follow-up of the patients. “Functional Genomics of Liver tumors” led by Jessica Zucman-Rossi focusing in the characterization of genomic alterations in benign and malignant liver tumors, functional validation, identification of new risk factors and genetic predisposition and translation to the clinics. “Functional Genomics of Mesothelioma” led by Didier Jean (CR1 Inserm) focusing on the pathogenesis of mesothelioma, search for new therapeutic targets with genomic approaches. “Therapeutic Targets in liver tumors” led by Sandra Rebouissou (CR2 Inserm) focusing on the identification of therapeutic targets in liver tumors. “Computational Cancer Genome Analysis” led by Eric Letouzé (CR2 Inserm) focusing on the development and application of innovative strategies for integrative genomic data analysis.